Welcome to our charitable organization! Thank you for visiting MOBILITY & HEALTH for AFRICA online. We purchase and collect your donations of used mobility devices and medical supplies, ship them using containers and distribute; used mobility equipment, hospital supplies (including pharmaceutical drugs) to hospitals, medical centers, and individuals who need these supplies in order to survive, so they may have a more productive and healthy life. 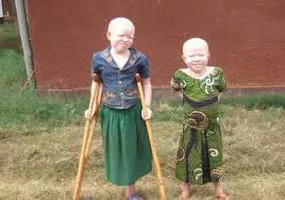 To create safe haven villages for Albinos to protect them from abuse that is endemic in their society. We are initially focusing our attention to the needs in West Africa, french and portuguese speaking countries since they are without much help due to the language differences and in dire need of supplies at this time. 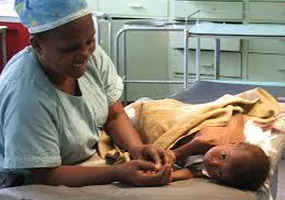 We hope that our website highlights the wide variety of help that citizens, like yourself, can do for people who are extremely poverty stricken and need supplies, medical help and support in order to be mobile, healthy and productive in their communities in Africa. Due to missionaries and other organizations that are primarily working in the english speaking countries, this is why we are initially working in west africa at this time. Laura Benshoff of WHYY wrote: Used mobility aids from Montgomery County destined for hospitals in Guinea in Newsworks. Gary Puleo of The Times Herald wrote: Norristown nonprofit sends mobility equipment to Afhttps://www.facebook.com/MobilityHealth4Africa/https://www.facebook.com/MobilityHealth4Africa/rica hospitals.